This initiative of ACVic is supported by hablarenarte, and in collaboration with the Oficina de la Iniciativa Cultural (OSIC) of the Generalitat de Catalunya, Escola d’Art i Superior de Disseny de Vic and the Universitat de Vic-Universitat Central de Catalunya. It forms part of the international Collaborative Arts Partnership Program (CAAP ) project, which aims to research collaborative practices, and to study the proliferation of new approaches to community work. Transformation of a former industrial space into a new space for cultural and social use. A workshop using the dynamics of collective creation to develop a project with the aim of transforming the old tanneries of Vic into a new social and cultural project for the city. 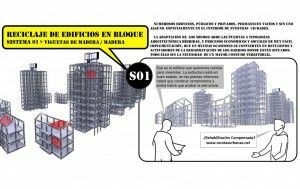 Analysis of the current situation, ideas and solutions for transformation, and the collective construction of a physical model which will bring together the process and the proposal. Auto-construction, participation, self-management, recycling, responsibility. The Adoberies (Tanneries) is a building of significant value located in Vic, which unfortunately has suffered progressive deterioration over the past few years. The great challenge, and the special characteristic which makes this workshop especially interesting, is its aim to create a forum where academics and social networks may work in collaboration, coordinating their specific knowledge and contributing their personal efforts in a real case such as the rehabilitation of a unique heritage building in Vic, presently in a ruined state, and the development of a cultural project upon the site. To achieve this objective, we believe that active participation, and the presence of representatives of various associations and groups from Vic, at the very start as well as during the workshop, are essential. For this reason, we propose a series of sessions during which existing requirements, proposals for possible recovery and management models, as well as interested parties in the recovery of the Tanneries, may be specified. During the workshop there will be open sessions, with representatives from social groups. For the workshop's fifth and final day, an exhibition of results is planned as a summary of results, an exercise in synthesis and debate, sharing academic and social perspectives raised during the previous sessions, and setting up the foundations for the continuity of the project. 1. To assess the structural state of the building, as well as to prepare proposals for its rehabilitation, by means of phased stages of recovery, developed within ongoing workshops of low-budget self-construction. 2. To collaborate in the campaign to motivate Vic's citizens to become involved in the Tanneries proposals. The workshop will serve to determine the level of interest and commitment among Vic's various associations and groups, as well as within the university sector, in recovering and making use of the tanneries as a venue for encouraging social initiatives. 3. To create an educational space between university networks and the general public, using the rehabilitation as a process of appropriation and acquisition of the right of use, always keeping in mind the end result of creating as active and as heterogeneous a community as possible. 5. To define the management model for the continuation phase of the project. 6. The evaluation and revision of projects developed in order to encourage and involve other authorities and citizens' groups. After 7 years of solo work we set up the RECETAS URBANAS (Urban Recipes) studio, which continued to develop, in different spheres of the urban reality, projects of subversion which helped make this complicated social life bearable. From the systematic occupation of public spaces with refuse skips], to the construction of false appendices to facades, patios, roofs and even gapsites, all the while negotiating between legality and illegality in order to remind ourselves of the enormous control to which we are subjected. As part of the studio's work, we have realised architectural projects, have written articles, and have taken part in various cultural and educational media (masters' degrees, seminars, conferences, exhibitions , etc.). In 2007 we presented the book Situaciones Urbanas, which demonstrates legal strategies and social demands through architectural projects. In 2008 we presented the documentary Spanish Dr€am, along with Guillermo Cruz, which exposes the causes and effects of the housing bubble. In 2011 we presented the documentary EN LA RED and published the book Architectures Colectivas by ViboK publisher, which demonstrated the networking among international groups. Currently, we are continuing to alternate between political negotiations and exercises of urban alegallity, and are constructing the Arquitecturas Colectivas network, offering information, protocols and a glass of beer to groups who might wish to collaborate. “Avui se li demana a l'artista que abordi temes d'interès públic. Actualment, el públic democràtic vol trobar en l'art les representacions d'assumptes, temes, controvèrsies polítiques i aspiracions socials que activen la seva vida quotidiana” ...“Avui en dia hi ha més gent interessada en produir imatges que en mirar-les”. Bori Groys (2014). As an introduction to the orientation of this edition of the Quam 2015, we refer to this quote by Boris Groys, which makes reference to two fundamental questions in contemporary creation. One is the need for art to connect with everyday life, so that the viewer may identify the public interest of artistic production, by means of themes latent in the immediate and surrounding social and political context. The other is the growing interest in becoming a producer of images. The ease with which current technologies allow the production and low cost global distribution of images, the greater availability of time, the magic of constructing images, and the heightened interest among hardware technology industries in encouraging content producers (who will consume their services), have worked together in creating a situation in which content production has risen massively, while interest in the product has declined. Prompted by these two circumstances, an element has made a forceful appearance in the context of contemporary art, which we call the mechanisms of collective creation, that is, those processes generated among several individuals in the pursuit of joint and participatory creation.. Therefore, if, by public interest, we understand those elements necessary to connect with "users" based upon social, political and cultural themes in which these “users” are involved, then collective creation occurs when these users become co-authors or co-producers. In essence, we are talking about the ways in which contents and methodologies may empower audience-users to participate and come together in contemporary artistic practices. Collective creation is a way of constructing, imagining, planning or of making or doing which is neither new within nor unique to the fields of arts and architecture, but which introduces more socialised options of making or doing. Collective creation places value upon the individual in relation to the group, widely distributes methods of production, disinhibits and multiplies individual creative capacity, involves negotiation, and requires a balance between listening, proposing and taking action. The novelty which it brings to the field of art is that it focuses less interest in the viewer, understood as a consumer, but allows the viewer to become part of a process which combines concept and execution, becoming one more creator within the context of a co-production, which at the same time dilutes and causes the idea of the creator as isolated individual to disappear, while also creating shared mechanisms by which several creators may assume a shared responsibility. In this edition, QUAM 2015, we will attempt to deal with, or to discuss, which issues of public interest have arisen within the contemporary context, which also allow for clarification through joint and collective action. Artists, architects, educators, social scientists, cultural managers, creatives interested in the connections between cultural, educational or social policy, It is also aimed at students from these and other disciplines sharing a common interest in these connections. Andreu Teruel Cano, Berta González Carnicer, David Oliva Torras, Emilia Capella Llovera, Helena Muñoz Villena, Joanot Cortés Fàbregas, Mechu López-Bravo Pérez-Constanzo, Mercè Parés Martínez, Pilar Sanmartín Capdevila, Rosa Campalans Griells and Roser Matamala Bacardit. Limited places. The deadline for registrations is 16th July 2015. Places will be reserved by order of receipt of payment. A short CV and a note explaining reasons for wishing to attend must be attached to the registration form. An attendance certificate may be issued by the University of Vic - Central University of Catalonia, on request. Accommodation and lunch are optional for workshop attendees. Two grants will be awarded for accommodation and board during the workshop. Selection will be based on CV and letters of motivation. Workshop with the collaboration with Arxiu Comarcal d'Osona. 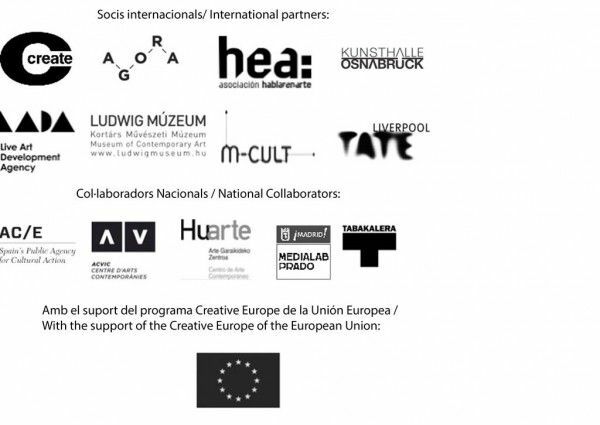 CAPP is supported by the European Union's Creative Europe programme. The first part of the CAPP programme, developed between 2015 and June 2016, is aimed at organising artistic workshops, designed by and for artists, and will be carried out in four national cultural centres between July 2015 and February 2016. CAPP is supported internationally by the European Union's Creative Europe Programme, and nationally by the Spanish Government's Acción Cultural Española Nacional level (AC / E)as well as by Spanish member-participants.